KNIME Analytics Platform is the leading open solution for data-driven innovation, helping you discover the potential hidden in your data, mine for fresh insights, or predict new futures. The enterprise-grade, open source platform is fast to deploy, easy to scale, and intuitive to learn. With more than 1500 modules, hundreds of ready-to-run examples, a comprehensive range of integrated tools, and the widest choice of advanced algorithms available, KNIME Analytics Platform is the perfect toolbox for any data scientist. Apache Spark is a powerful open source processing engine built around speed, ease of use, and sophisticated analytics. 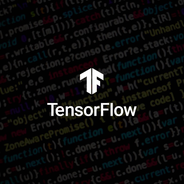 It was originally developed at UC Berkeley in 2009 and has quickly become the largest open source community in big data, with over 1000 contributors from 250+ organizations. Engineered from the bottom-up for performance, Spark can be 100x faster than Hadoop for large scale data processing by exploiting in memory computing and other optimizations. Apache Cassandra is an open source distributed database management system designed to handle large amounts of data across many commodity servers, providing high availability with no single point of failure. Apache Cassandra offers robust support for clusters spanning multiple data centers, with asynchronous masterless replication allowing low latency operations for all clients. Evolved from work at Google, Amazon and Facebook, Apache Cassandra is used by leading companies such as Disney, IBM, New York Times, Spotify and Twitter. Apache Kafka is a distributed streaming platform capable of handling trillions of events a day. 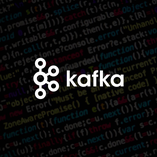 Initially conceived as a messaging queue, Kafka is based on an abstraction of a distributed commit log. Since being created and open sourced by LinkedIn in 2011, Kafka has quickly evolved from messaging queue to a full-fledged streaming platform. As a streaming platform, Apache Kafka provides low-latency, high-throughput, fault-tolerant publish and subscribe pipelines and is able to process streams of events. Kafka provides reliable, millisecond responses to support both customer-facing applications and connecting downstream systems with real-time data. Scala is a modern multi-paradigm programming language designed to express common programming patterns in a concise, elegant, and type-safe way. Scala has been created by Martin Odersky and he released the first version in 2003. Scala smoothly integrates the features of object-oriented and functional languages. Apache Spark is written in Scala and because of its scalability on JVM, Scala programming is most prominently used programming language, by big data developers for working on Spark projects. The name Scala is a portmanteau of scalable and language, signifying that it is designed to grow with the demands of its users. Java is a general-purpose computer programming language that is concurrent, class-based, object-oriented, and specifically designed to have as few implementation dependencies as possible. It is intended to let application developers "write once, run anywhere" (WORA), meaning that compiled Java code can run on all platforms that support Java without the need for recompilation. 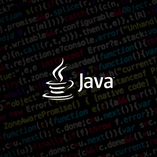 Java applications are typically compiled to bytecode that can run on any Java virtual machine (JVM) regardless of computer architecture. KNIME Analytics Platform is written in Java and based on Eclipse and makes use of its extension mechanism to add Java-written plugins providing additional functionality. One of the most important features of Python is its rich set of utilities and libraries for data processing and analytics tasks (e.g. Scikit-Learn). 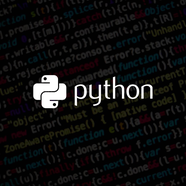 In the current era of big data, Python is getting more popularity due to its easy-to-use features which supports big data processing. R is an extensible, open-source language and computing environment for Windows, Macintosh, UNIX, and Linux platforms. R is freely available under the GNU General Public License and is a free implementation of the S programming language, which was originally created and distributed by Bell Labs. R performs a wide variety of basic to advanced statistical and graphical techniques at little to no cost to the user. While R has a command line interface, there are several graphical front-ends available like KNIME or RStudio. SAS is a software suite developed by SAS Institute for advanced analytics, multivariate analyses, business intelligence, data management, and predictive analytics. With SAS/BASE and SAS/MACRO SAS takes an extensive programming approach to data transformation and analysis rather than a pure drag drop and connect approach. SAS has a very large number of components customized for specific industries (e.g. Customer Intelligence Studio) and data analysis tasks (e.g. SAS Enterprise Miner).